Latest forecast from the Birmingham National Weather Service. Forecast obtained via the Emergency Manager's Weather Information Network (EMWIN) operated by the National Weather Service. Map is updated as warnings or watches are issued or expire. 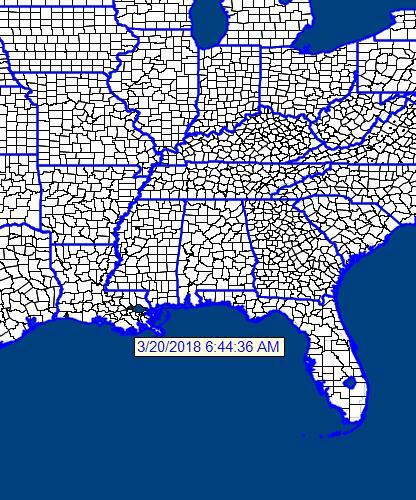 Date and time of latest image are shown at the bottom center of the map in the Gulf just below the Florida panhandle. Click on map graphic for larger view.